Protein–protein docking aims at predicting the three-dimensional structure of a protein complex starting from the free forms of the individual partners. As assessed in the CAPRI community-wide experiment, the most successful docking algorithms combine pure laws of physics with information derived from various experimental or bioinformatics sources. Of these so-called “information-driven” approaches, HADDOCK stands out as one of the most successful representatives. In this chapter, we briefly summarize which experimental information can be used to drive the docking prediction in HADDOCK, and then focus on the docking protocol itself. 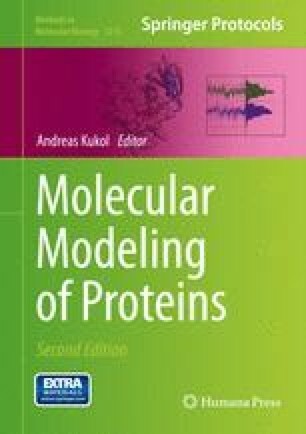 We discuss and illustrate with a tutorial example a “classical” protein–protein docking prediction, as well as more recent developments for modelling multi-body systems and large conformational changes.